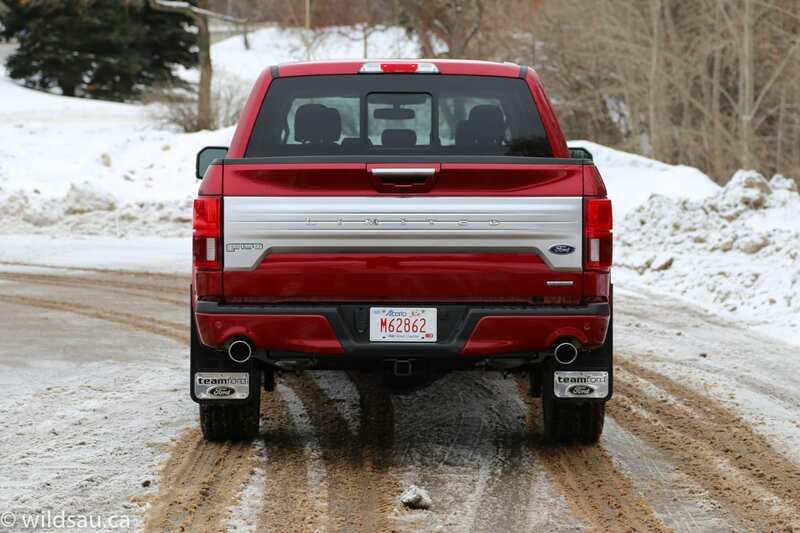 The King-Of-The-Hill trim of Canada’s best-selling pick-up. I think Ford spends enough time reminding us in their advertising that they have the best-selling pick-up truck in Canada. They’ve held the crown for 52 years. 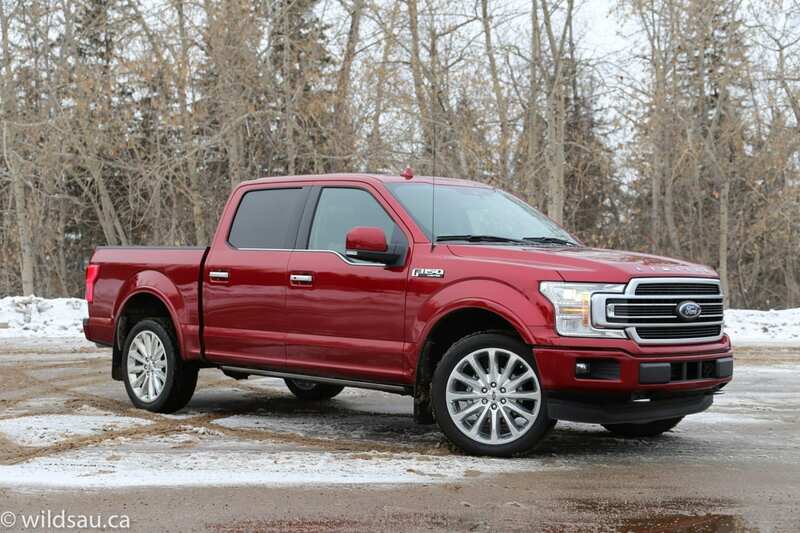 Here we have a 2019 F-150, but not just any F-150. This is as loaded as it gets. Let’s just get this out of the way. Yes, it’s expensive. How expensive? As it sits, about $86,000. Before tax. So this truck isn’t for everyone. 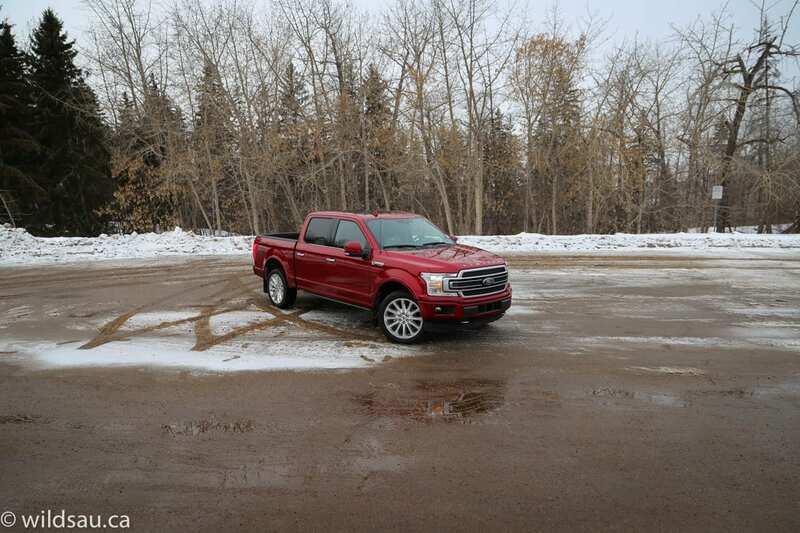 Let’s have a look at what 86 grand buys you from the F-150 stable. 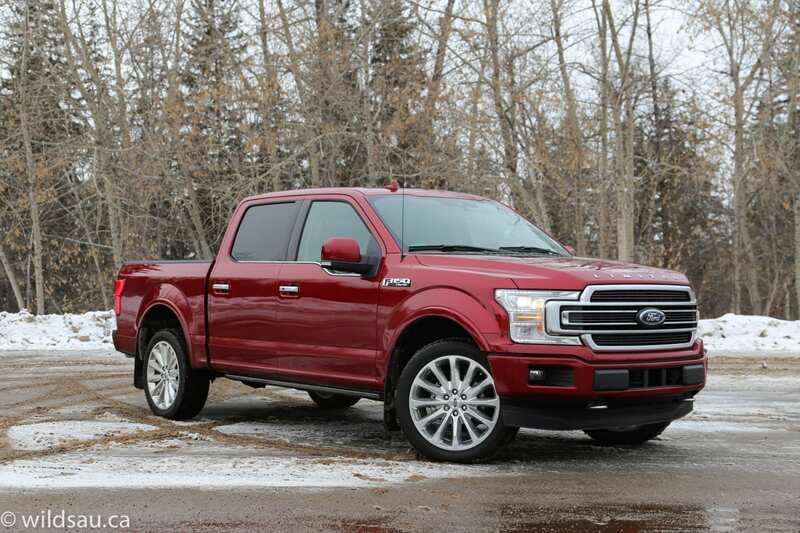 It’s immediately obvious that, although the base truck underneath is similar to every other 2019 F-150, the Limited trim is special. 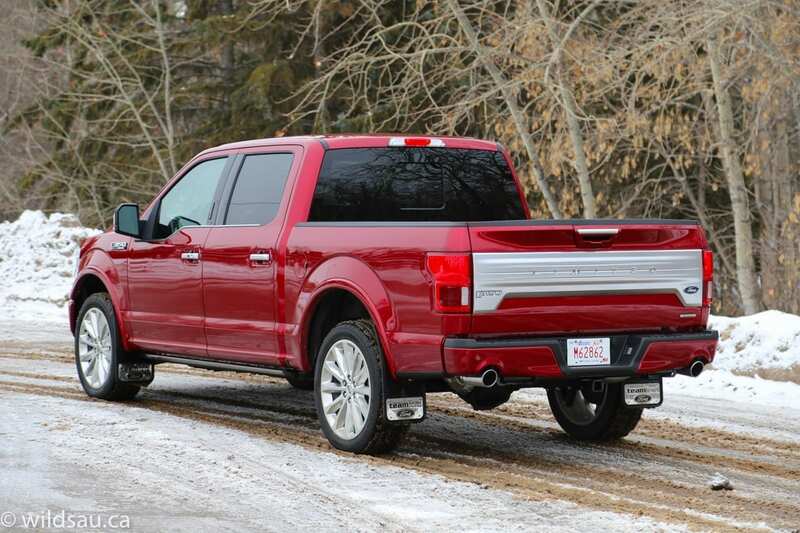 Other F-150s tend to blend in – not because they’re not handsome, but because they are literally everywhere. I mean every second truck is an F-150. But this one is different. As a matter of fact, I’ve never reviewed another truck that had as many people walk up in parking lots to take a look and comment about how nice it is. 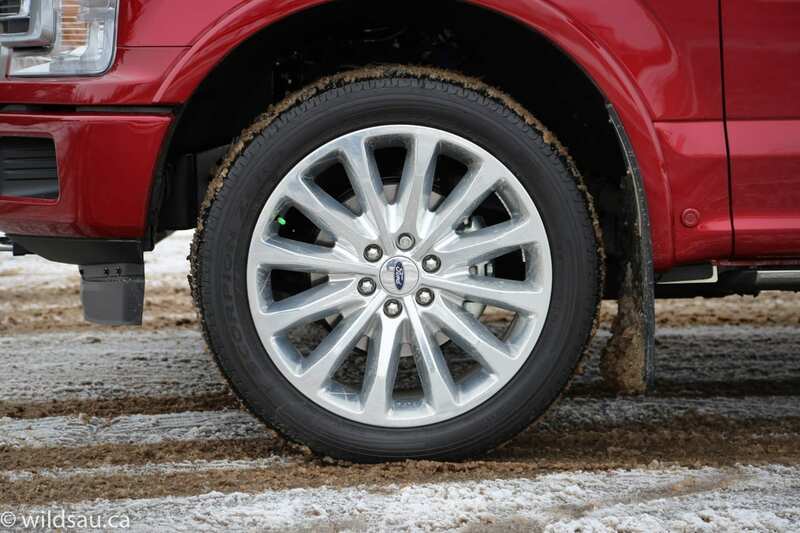 The humongous 22-inch polished rims (shod with 275/45-sized rubber) catch your eye first. They’re beauties without looking blingy. Then you start noticing the little details. The main bars in the expressive grille are satin-finish chrome and it looks lovely. 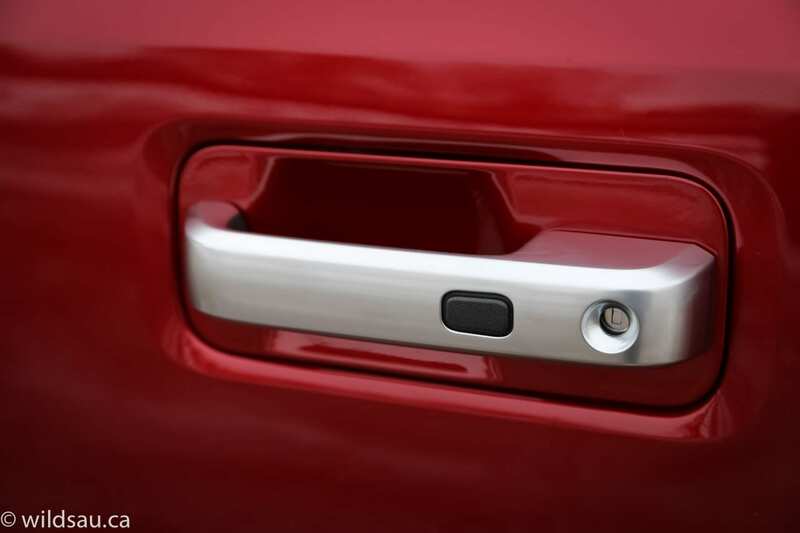 Ford uses the same satin finish trim on the doors (which you can see from a mile away – in a good way), the door handles and the tailgate. 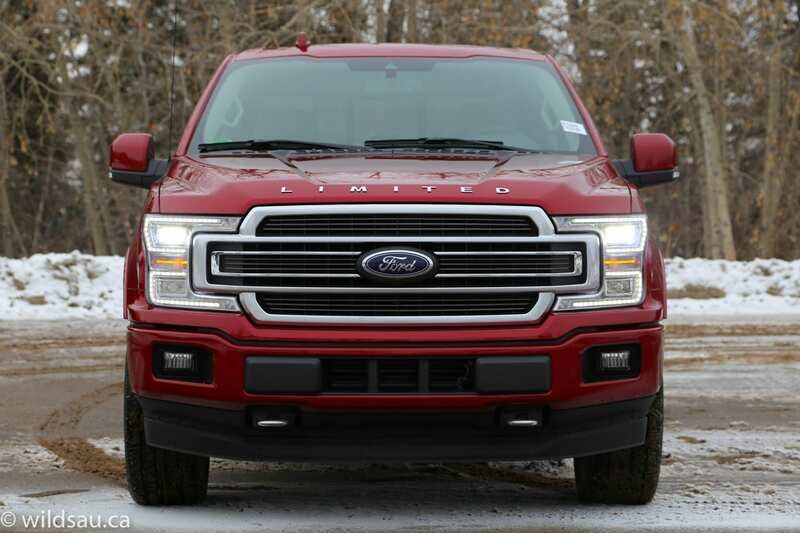 That grille is flanked by bright quad-beam LED headlights. 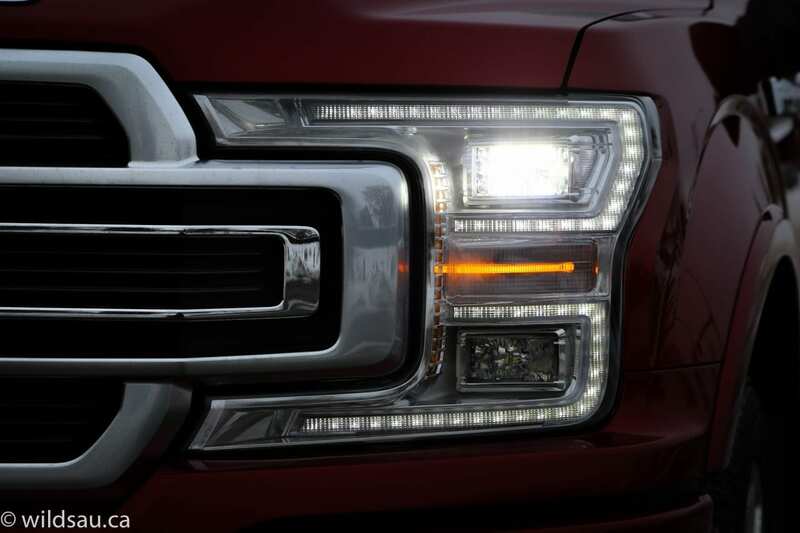 Actually LED lighting can be found virtually everywhere on this truck. 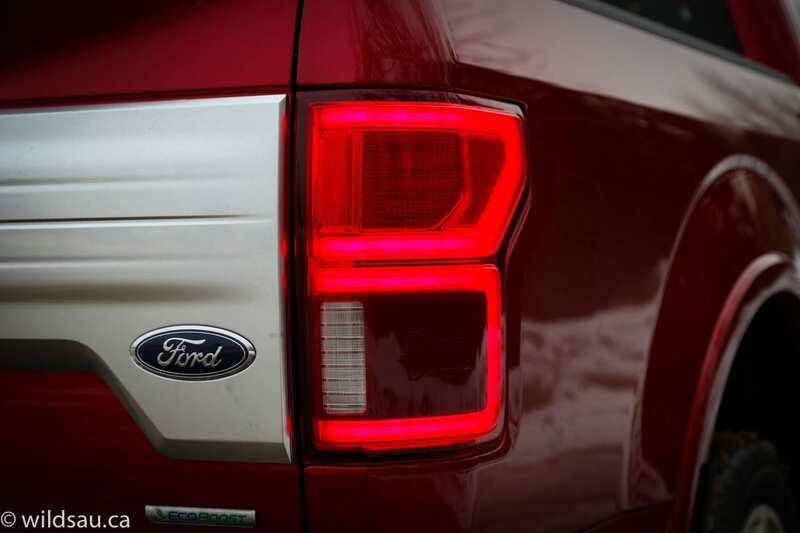 The signature tail lamps and driving lights, the foglights – even the box lighting and the cool side-mirror spotlights – they’re all LED, they’re all bright and they’re all very effective. 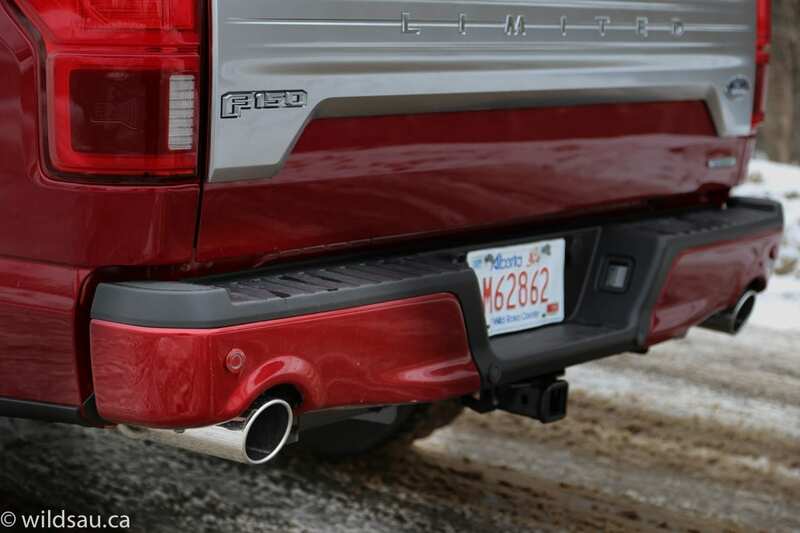 Another touch, which is new to the F-150, is the set of dual tail-pipes that come out from under the rear bumper. They look great and add some muscle to the look. It’s a fantastic looking truck, and my review sample’s Ruby Red is a knockout colour – particularly when paired with the Limited goodies. It manages to be dressy and muscular at the same time. 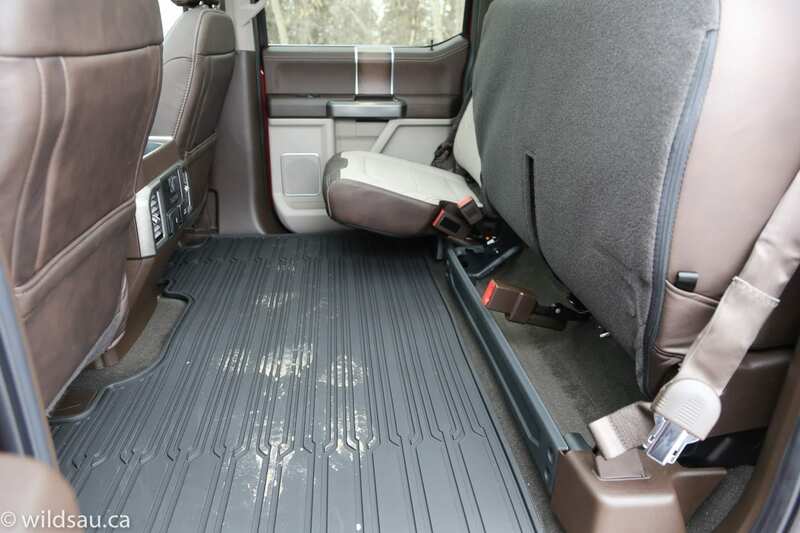 Getting in or out of the truck is no problem thanks to the power-deployed running boards that drop down to greet you when you open the door. 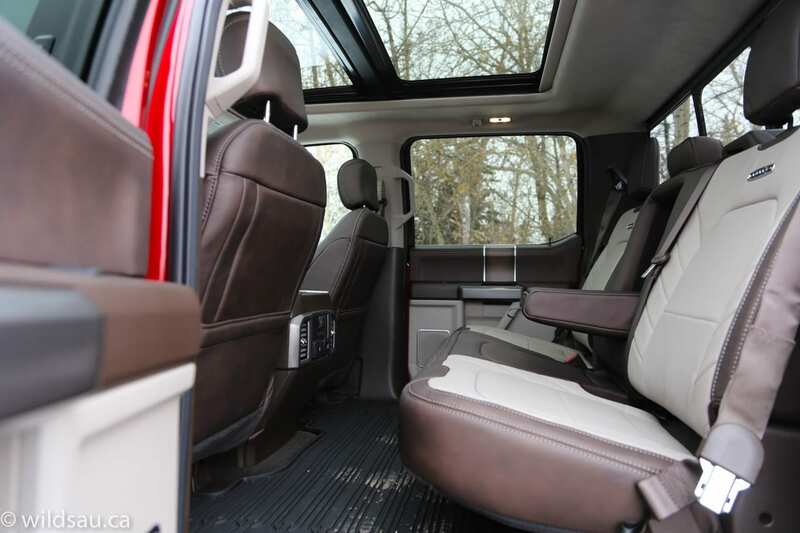 Overhead is a massive twin-panel moonroof, letting plenty of light in and making the cabin bright and airy. 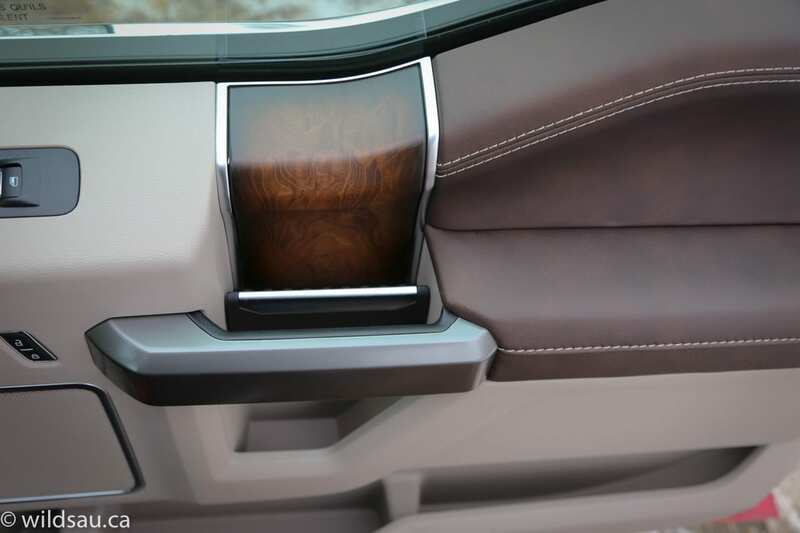 Again, while the base interior reflects things you’d find in lesser trims, the overall impact is immediately that of top-of-the-line. 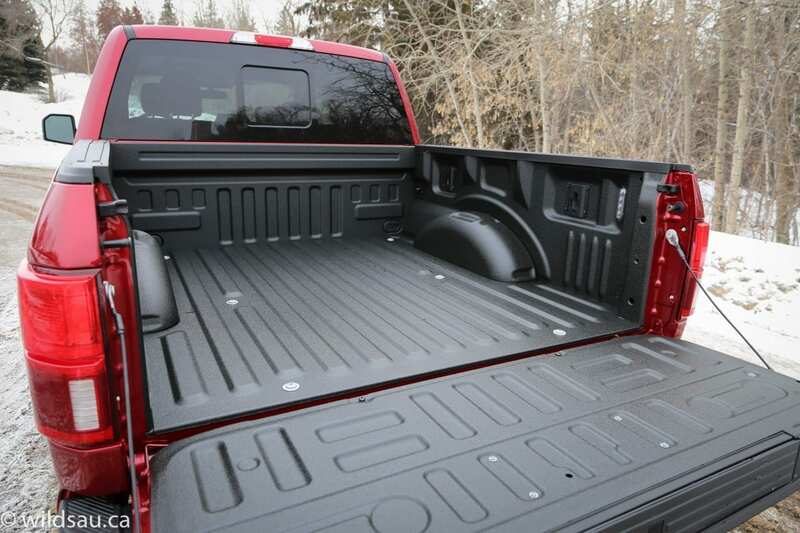 For a truck, the materials are very nice. 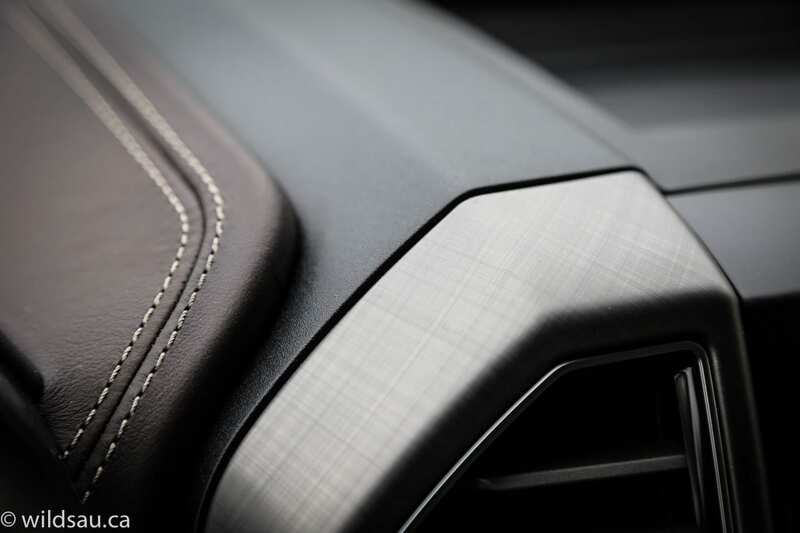 You’ll find upholstered panels with contrasting stitching on the dash, the console and the doors. Look closely and you’ll find gorgeous genuine wood accents, stained to accent the grain. And the Camelback interior that mine came with has some of the nicest leather I’ve ever seen in any vehicle, regardless of price. 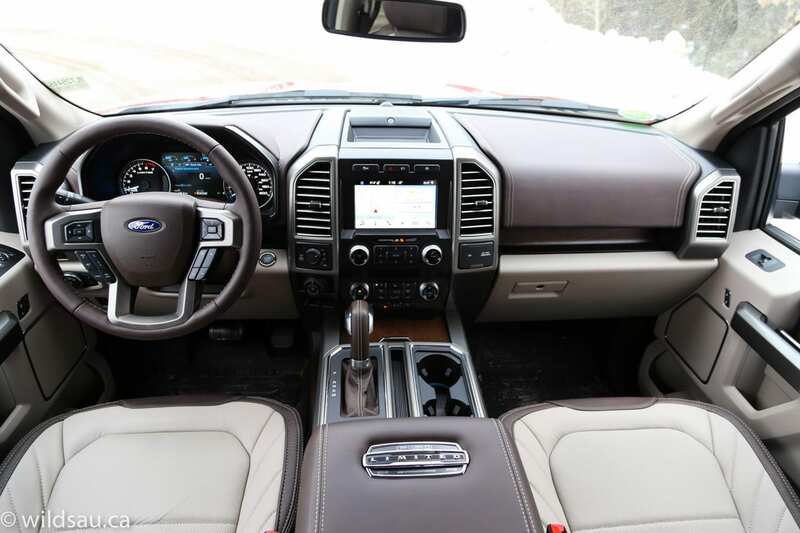 Behind the heated steering wheel and between the gauges sits an 8-inch productivity screen. It allows you to display a wealth of useful information including all the trip meters, towing data, off-road screen and much more. You can even customize it to access your most used screens in one place. 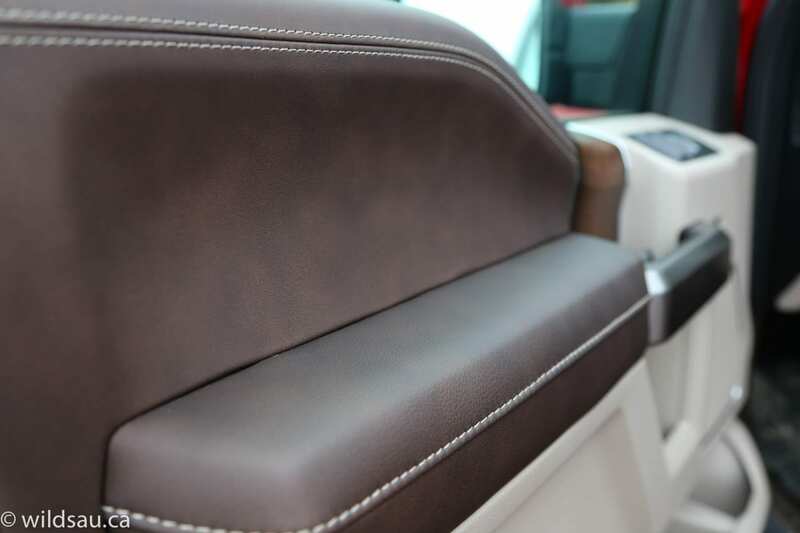 The incredibly comfortable multi-contour (massaging) seats are heated and ventilated and are upholstered in that aforementioned premium leather in contrasting tones. The SYNC 3 touchscreen handles your navigation, phone and media functions, as well as vehicle settings. The B&O Sound System with its 10 speakers and 1000 watts of power is impressive not only in its ability to play loud, but also its remarkable clarity and definition. Ford’s full suite of driver assistance technology is at your disposal. This truck has an awesome 360-degree camera that stitches together the feed from 4 cameras for a very helpful overhead view. 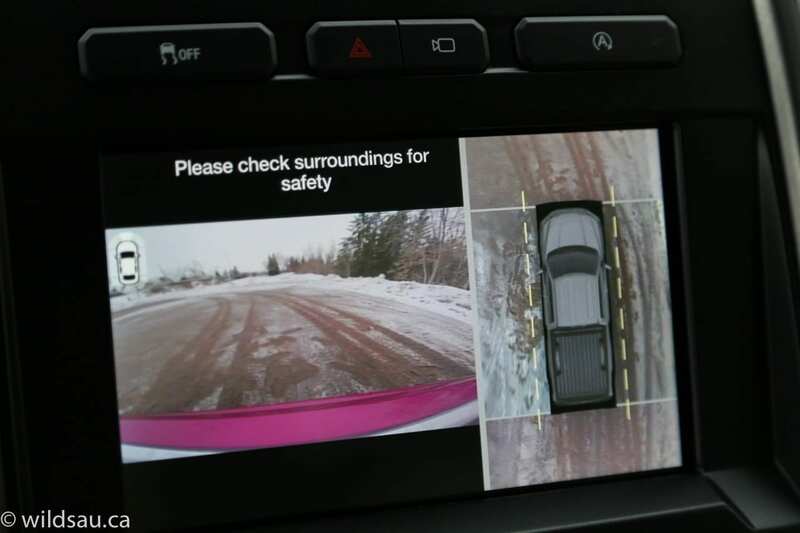 The parking sensors also help you know where you’re at. 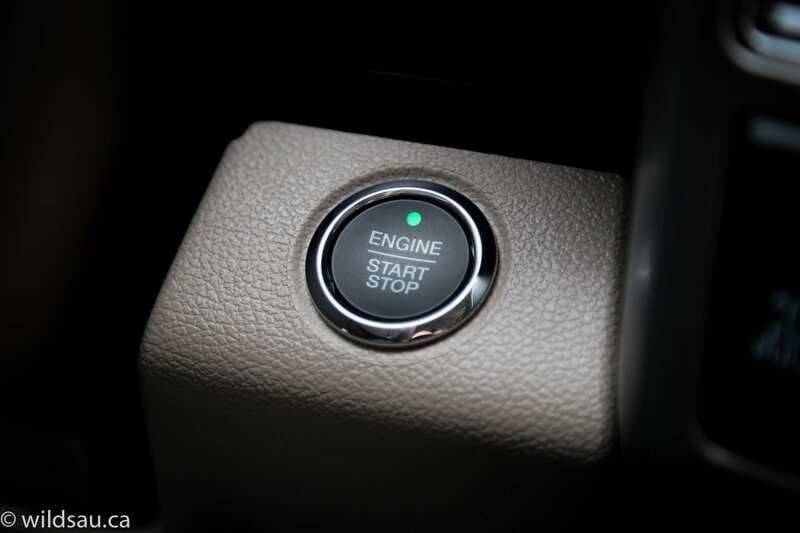 There’s also adaptive cruise control, blind-spot monitoring with cross-traffic alert and trailer coverage, pre-collision assist with automatic emergency braking, lane keep assist and automatic high beams. 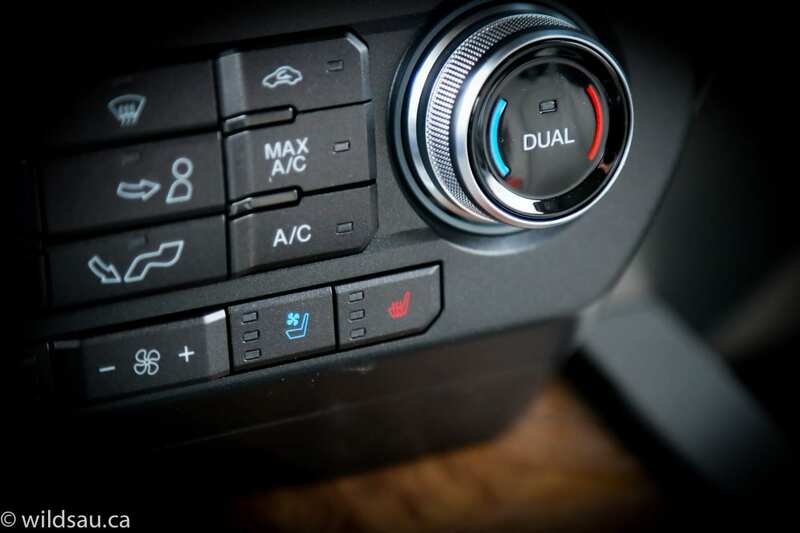 When it comes to keeping your devices charged for work or play, you’ll find a 12V and 110V household plug right on the dash, as well as USB plugs in the console. You can keep those devices connected too, using the FordPass Connect wi-fi hotspot. 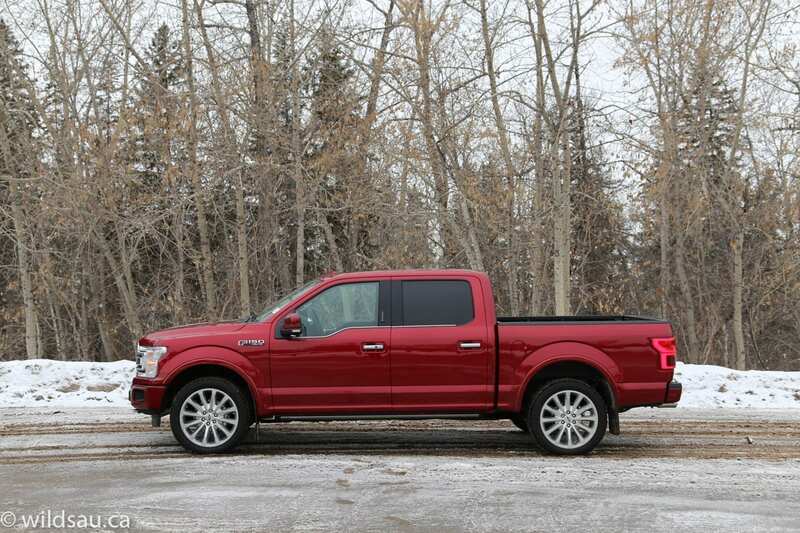 As with any SuperCrew F-150, the space in the back is essentially limousine-like. I’m 5’10” and can literally stretch out my legs completely. The outboard seats are heated and there’s plenty of room for three adults. 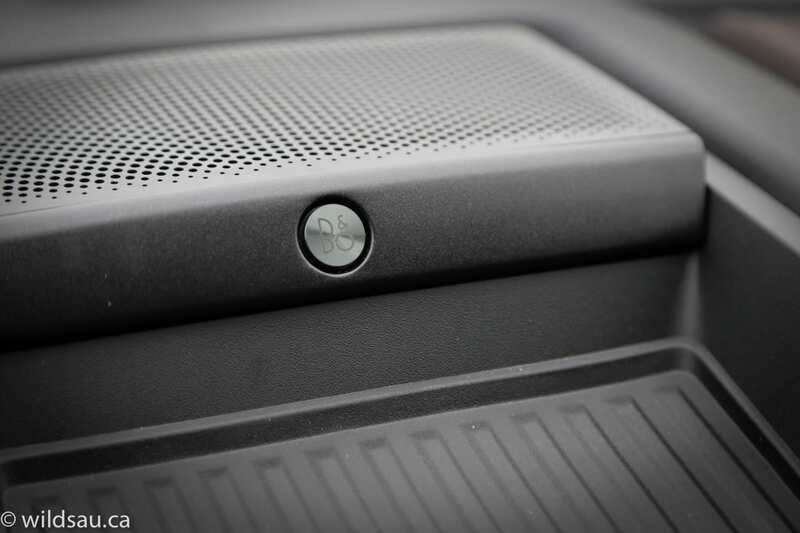 Rear passengers also get plenty of power points – a 12V, USB plugs and a 110V household plug. Of course there are LATCH anchors for child seats if you’re transporting little ones. The inflatable (airbag) seatbelts for the outboard second-row passengers are a wonderful safety touch, but they are more like a firehose than a strip of fabric, and therefore they’re slightly harder to manage for kids that are buckling themselves in. We found no shortage of places to put our stuff, from an open bin on the dash, a big rubberized bin under a nice sliding lid on the console, a massive bin under the armrest lid and the sizeable glove compartment. There’s tons of room in the back of the cabin too. 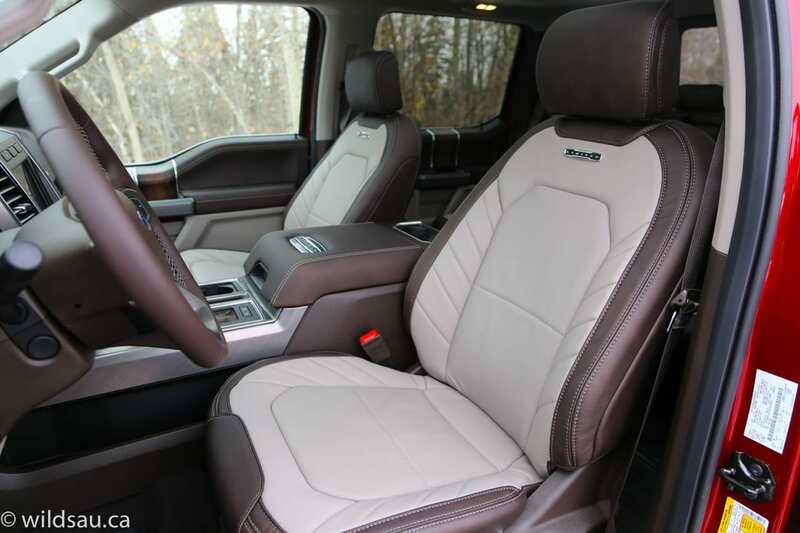 The rear seat cushions split 60/40 and fold up and out of the way, creating a massive space inside the truck – it also benefits from a completely flat load floor and an under-seat storage area. Oh yes, and there’s the truck box. 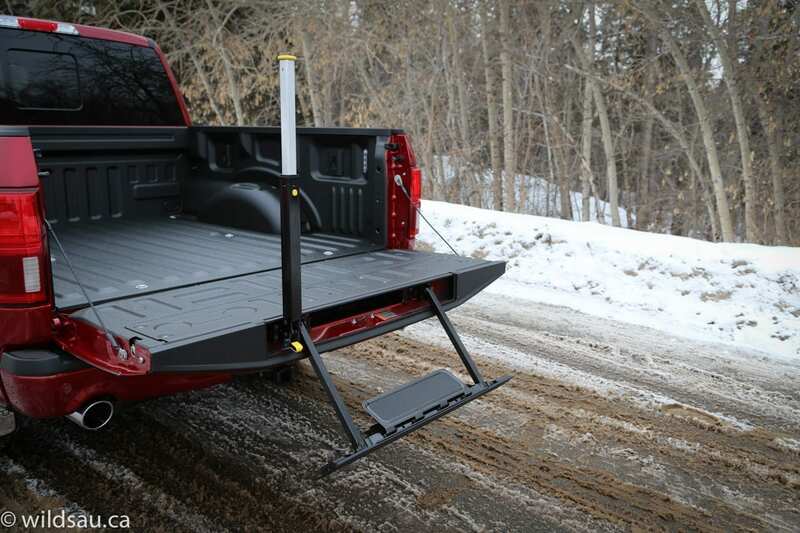 This one has a remote opening tailgate and with the integrated tailgate step and handle, it’s easy to get in and out of. 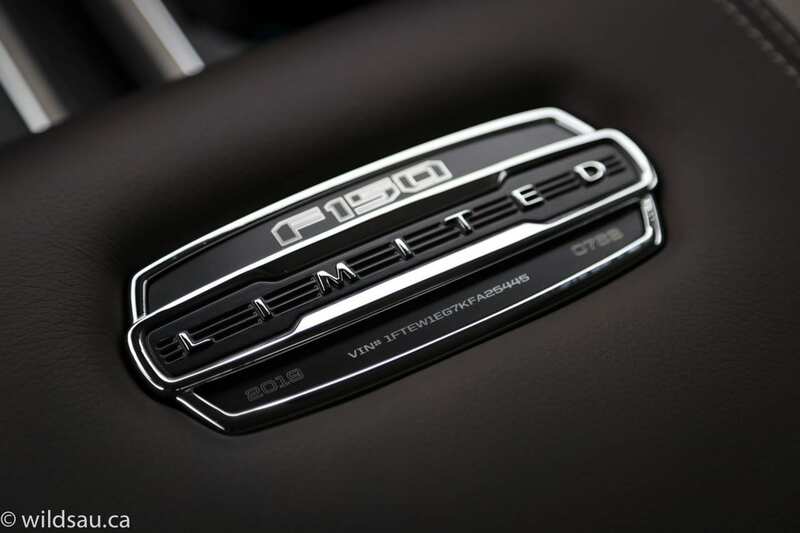 Now here is something new – the Limited trim gets endowed with the high-output version of the already-mighty 3.5L twin-turbo EcoBoost. This engine was formerly reserved only for the monstrous Raptor. 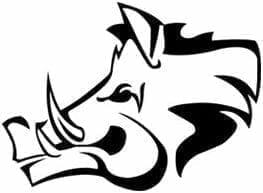 It bumps up horsepower by 75 to 450 and the torque jumps by 40 lb.ft to 510. 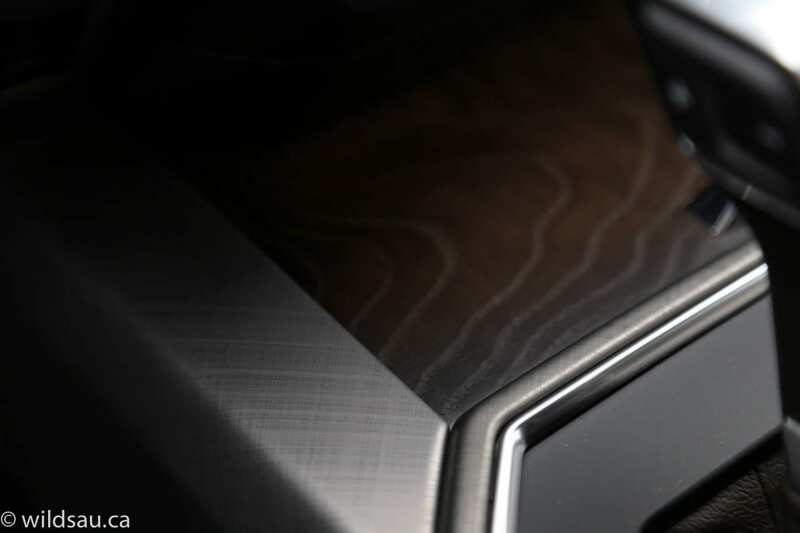 Of course this all makes its way through Ford’s own 10-speed automatic transmission and to all four corners via the 4×4 system. 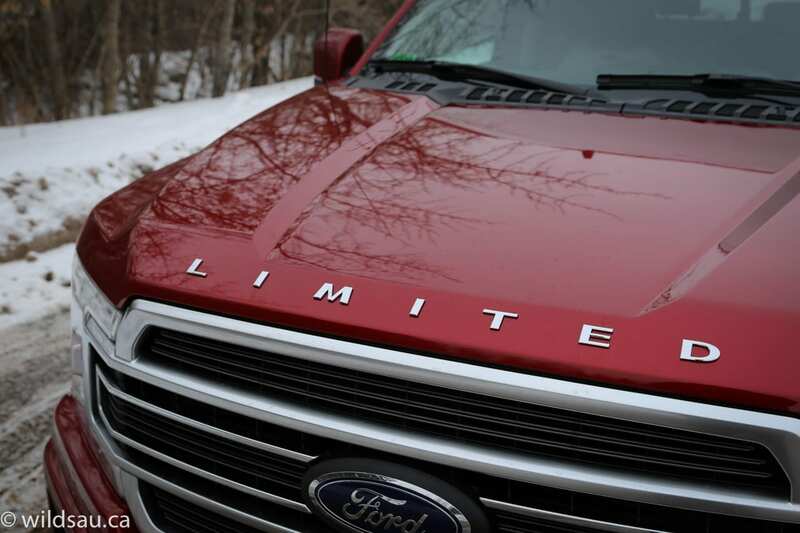 Ford rates this monster at 13.8/11.2 L/100 km city/highway – we ended up seeing real-world mileage of 15.7 L/100 km. The 136-litre fuel tank makes for a nice long cruising or towing range. 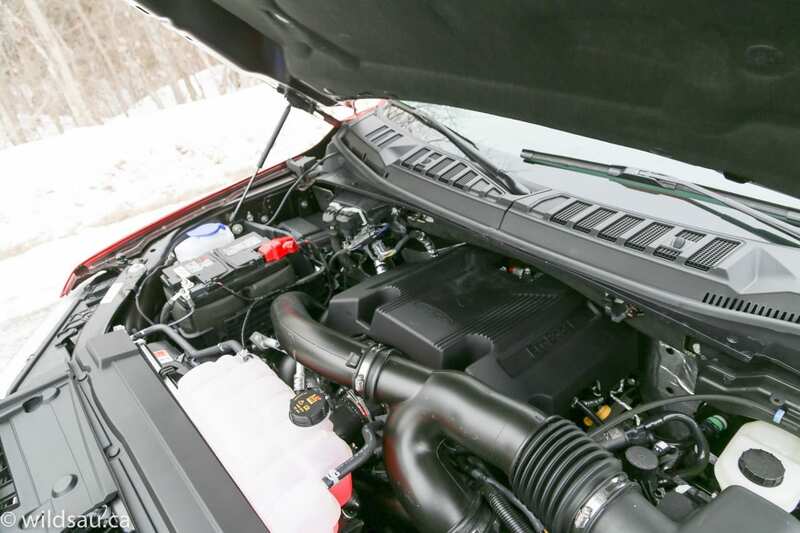 Of note, Ford recommends premium fuel for the high-output engine. That engine is something else. It has almost ludicrous amounts of power in every driving situation. I can’t imagine someone wanting for more, unless you’re towing near the truck’s maximum capacity. It’s almost shockingly fast off the line and is absolutely effortless around town and on the open road. Not only does it haul, it sounds great doing so. 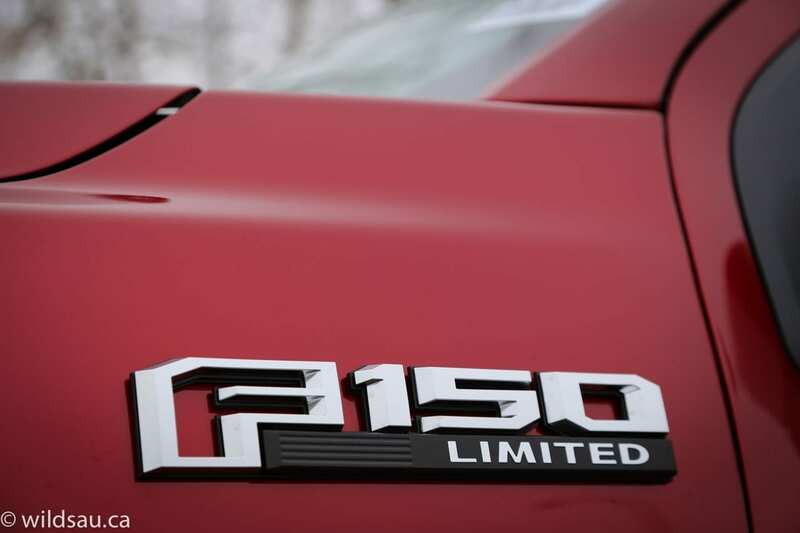 The ride is what we expect from an F-150. It’s very well sorted for the most part, and because it’s still a traditional leaf-spring solid-axle in the rear, you’ll get that familiar chatter over bigger road imperfections. 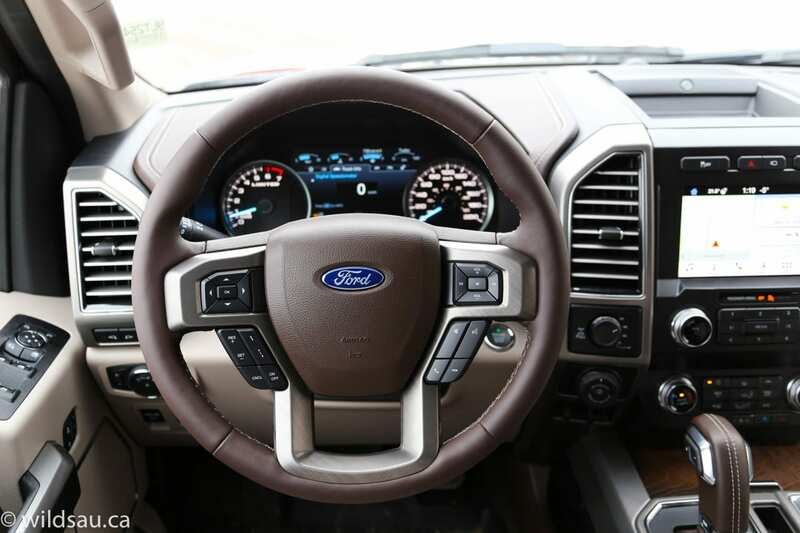 Handling is also very good for a half-ton, and the truck offers a great balance of drivability and comfort. 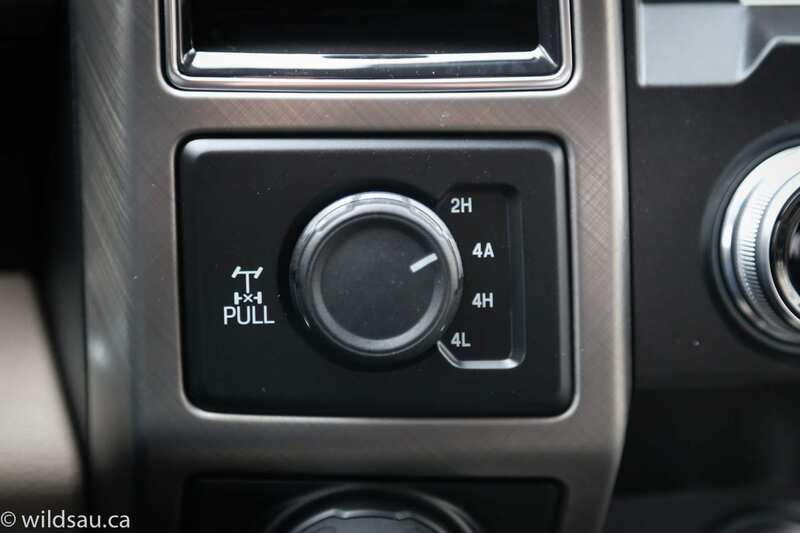 The 4×4 is electronically selectable, allowing you to choose between 2WD, automatic 4WD, full-time 4WD in high and low range. As nice as this truck is, it’s still a truck. 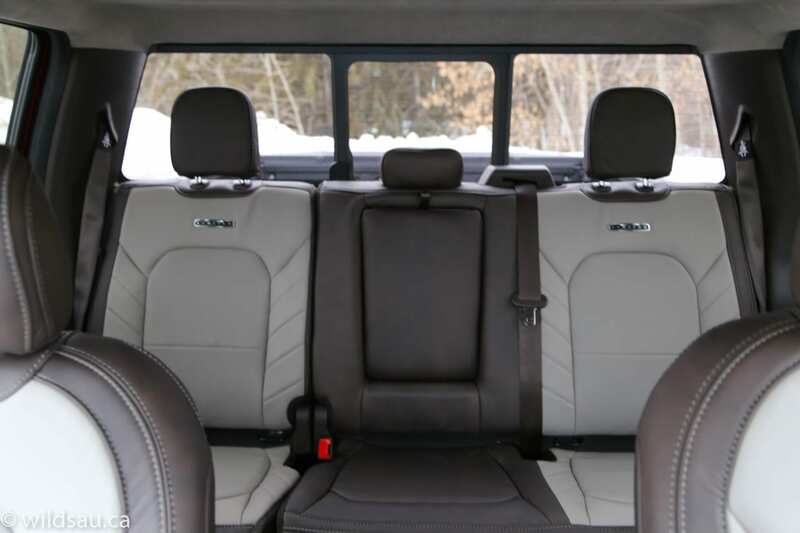 That means that, while you’re being coddled in that Limited cabin, you can still expect all the heavy-duty capabilities. Capabilities like a payload capacity of 1,270 lbs (576 kg) and towing up to 11,100 lbs (5,035 kg). That’s some serious stuff. 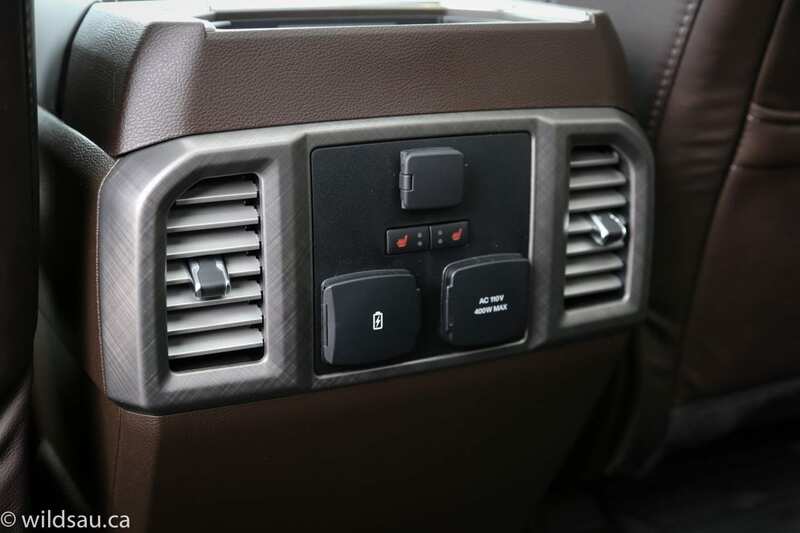 Add the integrated brake controller and the almost-magical Pro Trailer Backup Assist that simply requires you to turn the knob in the direction you want your trailer to go, and it makes for a much less stressful towing experience. WAF (Wife Approval Factor) was high. She’s not a truck girl, as I’ve said before, but she sure liked this one. She said it looked amazing (“for a truck” – haha!) and it drives nicely, although she always takes issue with parking these big beasts. 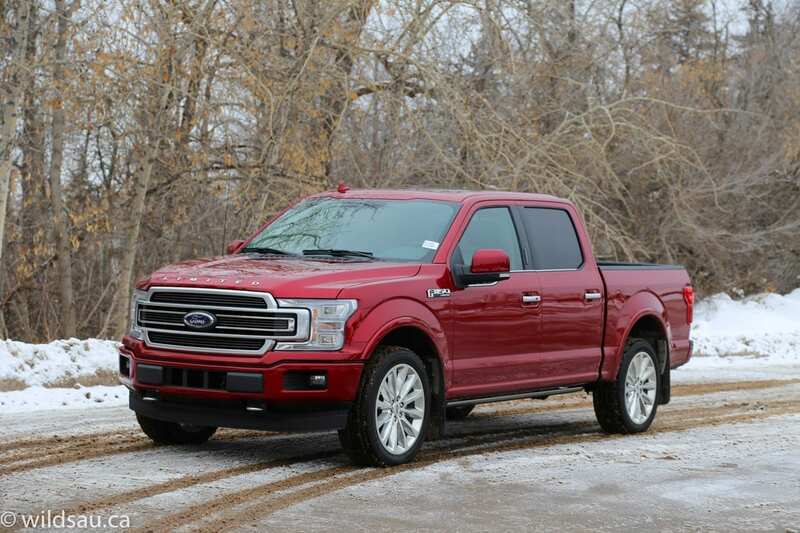 Ford builds a very solid, well-thought-out truck in the 2019 F-150. And if you have the means, the Limited trim is truly something to behold. It offers incredible comfort, utility and work capacity, while bringing world-class amenities and materials to the game. And it’s a looker! 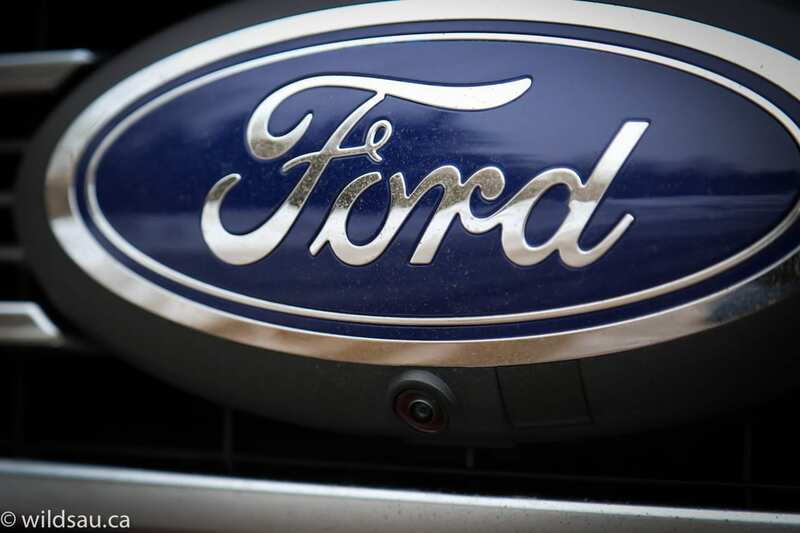 Disclosure: Vehicle was provided by Team Ford.